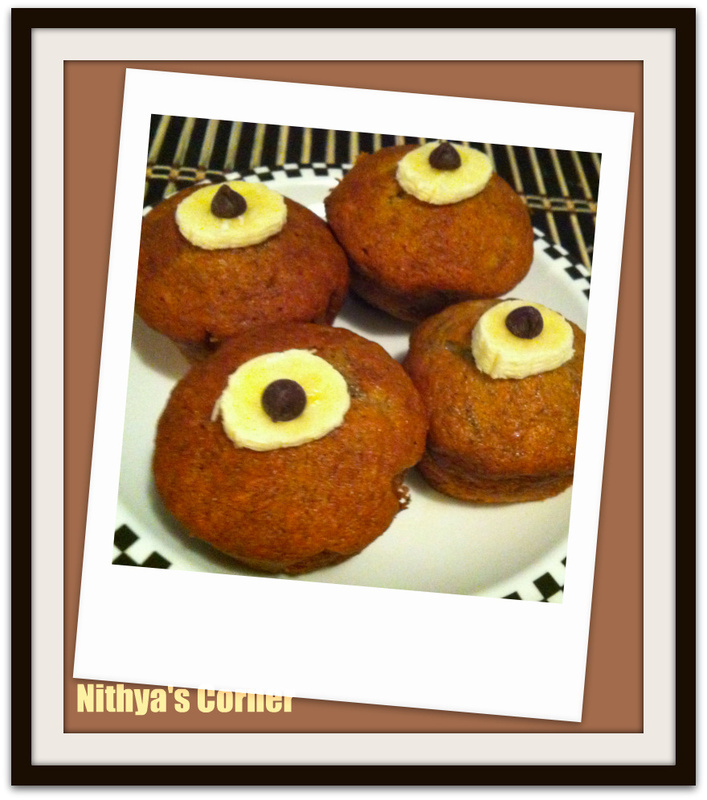 This entry was posted in Cakes With Eggs and tagged Banana Muffin on November 22, 2014 by vikashbhardwaz. This entry was posted in Cakes With Eggs and tagged baking powder, cupcake wrappers, vanilla essence on November 22, 2014 by vikashbhardwaz. 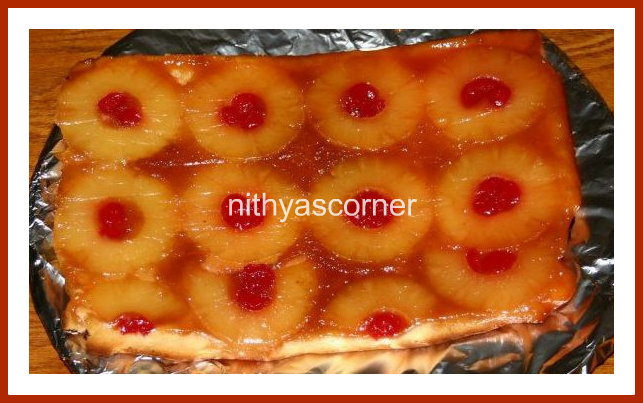 This entry was posted in Cakes With Eggs and tagged Brown sugar, cake pan, moist cake, Pineapple Upside Down Cake on November 22, 2014 by vikashbhardwaz. This entry was posted in Cakes With Eggs and tagged baking powder, Vanilla extract on November 22, 2014 by vikashbhardwaz. 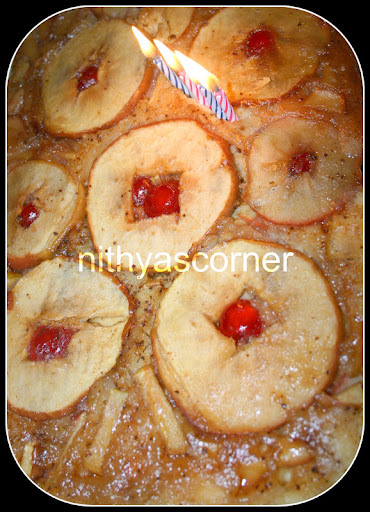 I made this Vanilla Strawberry Cupcake for my baby Shreeya’s 1st monthsary birthday. I could not plan much as my elder one was keeping me busy all the time. When I was thinking for some easy cake ideas, I landed up with this recipe. It was very easy to make. I actually planned to make a basic Vanilla Cupcake and then thought of adding some strawberry pieces into it. I then added strawberry pieces and believe me, it came out very well. Initially I thought of posting Vanilla Cupcake and Vanilla Strawberry Cupcake as a single recipe /post but then thought will post it as two recipes. Hope you like both Vanilla Cupcake and Vanilla Strawberry Cupcake. 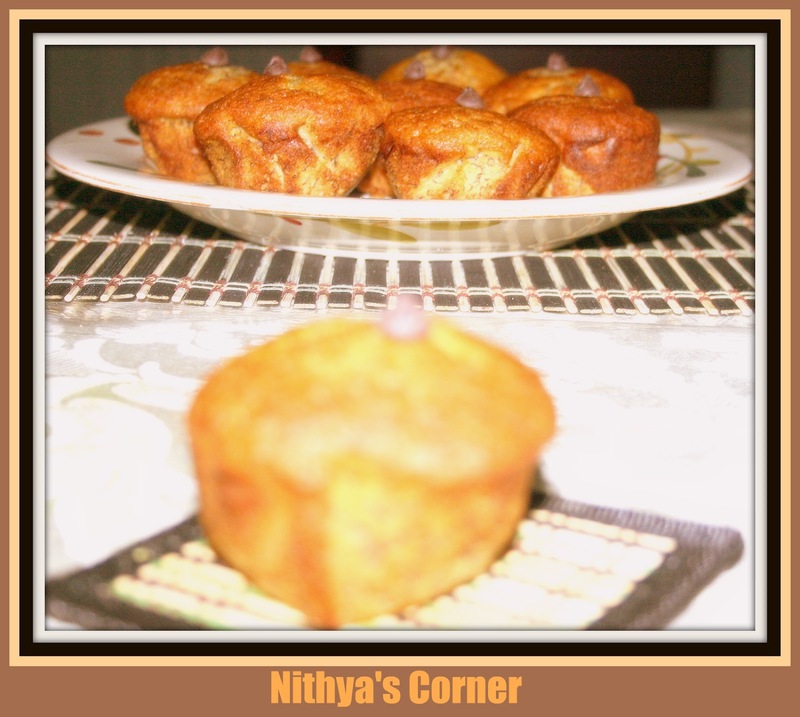 This entry was posted in Cakes With Eggs and tagged Strawberry Cupcake, Vanilla Cupcake, Vanilla extract on November 22, 2014 by vikashbhardwaz.